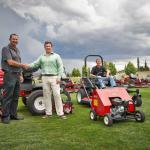 “We have used TORO for years. 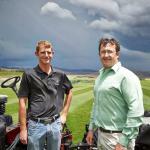 They have an excellent product and their service is outstanding,” says Schoeman. “Being away from the main centres, it is vital that we can rest assured that our downtime is minimised as much as possible. 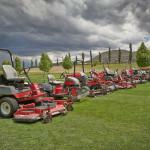 We simply cannot afford to wait for spares or for other required services and Smith Power Equipment’s (SPE) TORO team has taken away any anxiety for us over this issue,” he says. 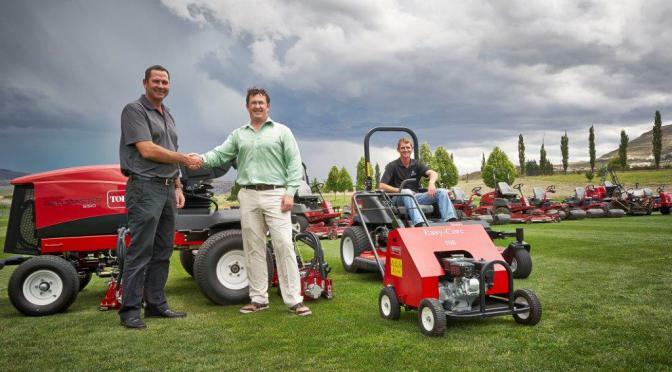 The latest additions to his already substantial fleet of TORO equipment are the TORO Reelmaster® 5510 fairway mower and the TORO Groundsmaster® 7210 rough mower. 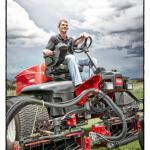 “These are great machines – tough, reliable and, very importantly, easy to maintain and service,” says Schoeman. 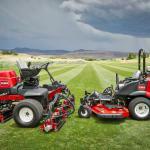 The 35.5 hp (26.5 kw)TORO Reelmaster® 5510, designed to deliver the performance one expects from TORO, comes standard with the larger 7″ (17.8 cm) diameter cutting units for heavy mowing conditions where extra capacity is needed. Its light-weight is due to optimizing the design to reduce weight without giving up performance and durability. 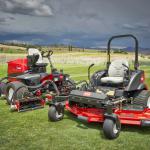 Available in standard 2-wheel drive or add-on CrossTrax® all-wheel drive system. 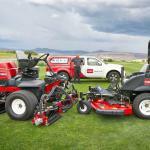 The Groundsmaster® 7210 is a zero turn rotary mower rugged enough for the toughest rough grasses. 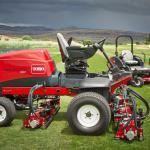 Its powerful Kubota® 35 hp (26 kw), 3-cylinder, liquid-cooled turbo diesel engines is renowned word wide. Durable heavy-duty 7-gauge welded deck construction and the industry’s toughest spindle assembly provide longevity. 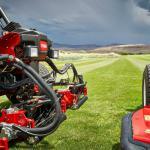 The Groundsmaster® 7210 can be used for mowing, grooming infields and blowing leaves. SPE sales consultant Bruce Chambers says that his company deeply appreciates the business they have got from Francois Schoeman and Clarens Estates over the years and that SPE will continue to give them the best possible service going forward. 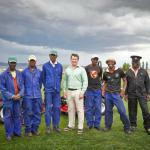 Article was also published on the Vrystat Website. This article was also featured in Landscape SA Jan-Feb 2015. This article was also featured in Tee and Sandwedges – April 2015.